Juventus will only pursue Anthony Martial under one condition this summer. The Frenchman has endured a difficult latter half of the season at Manchester United, despite having impressed at the beginning of the campaign and racking up decent stats. He has been struggling to nail down his spot in the starting lineup, and if he isn’t assured of consistent game-time by Jose Mourinho, the youngster is likely to leave the club and seek pastures anew this summer. 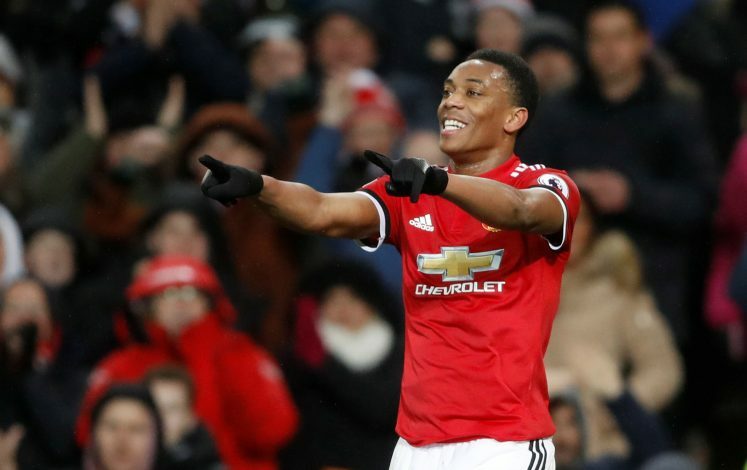 Martial, who wasn’t picked for the French squad that travels to Russia next month, doesn’t have any shortage of suitors whatsoever, with the likes of Arsenal, Chelsea, and even Barcelona, amongst other clubs, rumoured to be interested in securing his services. Juventus have also been linked with the forward lately, but recent reports emerging from Italy itself have made the Old Lady’s intentions clearer. According to Gazzetta dello Sport, Juventus will only make a move for the 22-year-old if they end up offloading Mario Mandzukic this summer. The veteran Croatian has been linked with a switch to the Chinese Super League for a while, but no concrete offers have been made for the 32-year-old. The same source further adds that while the former Atletico man has both foreign and European admirers, the decision to keep him in Turin or sell him off lies with Juve manager Massimiliano Allegri. Therefore, if the Italian tactician chooses to hold onto the experienced forward, Juventus will effectively end their pursuit of Martial.